Whether you’re looking for the perfect school holiday activity or just want to try something new after school or on the weekend, check out these ideas for ways you can get your hands dirty and your creative juices flowing. Get art kits delivered right to your door with a subscription to Mrs Red’s monthly Art Cart. Only Mrs Red knows what’s in your Art Cart – that is, until you open the box and start creating with all of the goodies that are inside! Not only will you discover all of the art supplies you’ll need inside the box (always valued at over $50), you will also get an information card telling you exactly how to use the supplies and a YouTube video link for extra help. 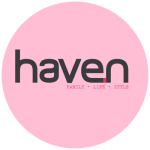 You can also keep up with Mrs Red’s art and craft ideas by subscribing to haven’s digital newsletter. A favourite for parents and kids alike, the Craft Parlour offer classes in just about every art and craft style you can imagine! 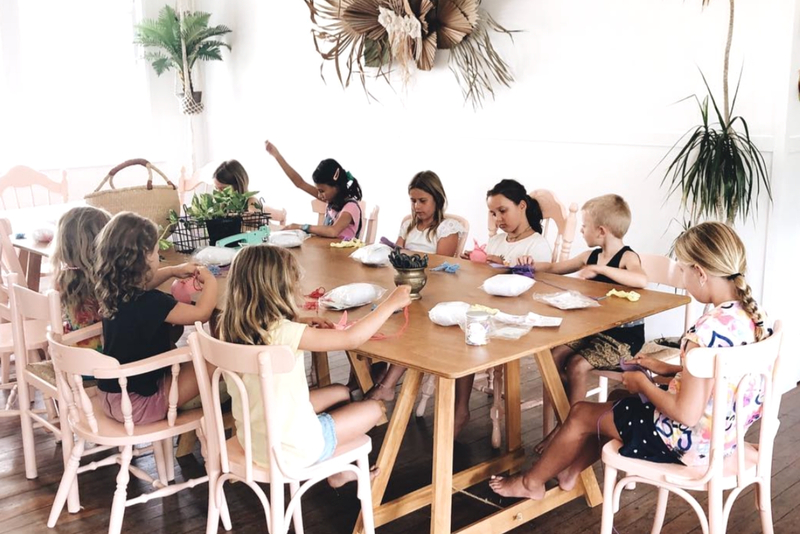 From macrame to sewing, to bracelet making and cake decorating, there is always something new and exciting on in the Craft Parlour – meaning you’ll never run out of fun things to do over the school holidays! If you’re looking for something new to try or a fun Mother’s Day activity to do, be sure to check out what’s on offer at the Craft Parlour. Is there anything more satisfying than taking home your very own painted pottery creation and putting it on display in your home? Whether you’re planning a birthday party, a school holiday get-together or just a fun weekend activity, Colour My Pot offer all of the above – and even more – in a relaxed, easy format. Select the pottery creation you’d like to paint, pick your colours and get busy creating your masterpiece! Then, the Colour My Pot team will glaze it for you and have it ready for you to collect the following week. Their specially-designed Junior Art Skills classes are the perfect way to give your five to ten-year-olds a chance to get creative and learn the basics of art principles. At Artable, kids are encouraged to explore as many art materials as possible to build what they call ‘art confidence’, learning how to identify shapes that come together to create pictures as well as learning all about how to create textures, light, colour and mood in their artworks. In each weekly class, your kids will work on 2D artworks and be guided through every step by their experienced teacher. They’re a favourite venue for paint and sip catch-ups among over-18s, but did you know that Cork and Chroma also do family-friendly paint sessions for you and your little artist? With guidance from a Cork and Chroma artist, let your imagination run wild with your child as you each paint your own canvas into a colourful masterpiece. Then, take them home and hang them up side-by-side! The sessions last for about two hours so they’re best suited for children aged six to 11, and are specially-designed for parent-child participation – so make sure you book two seats!